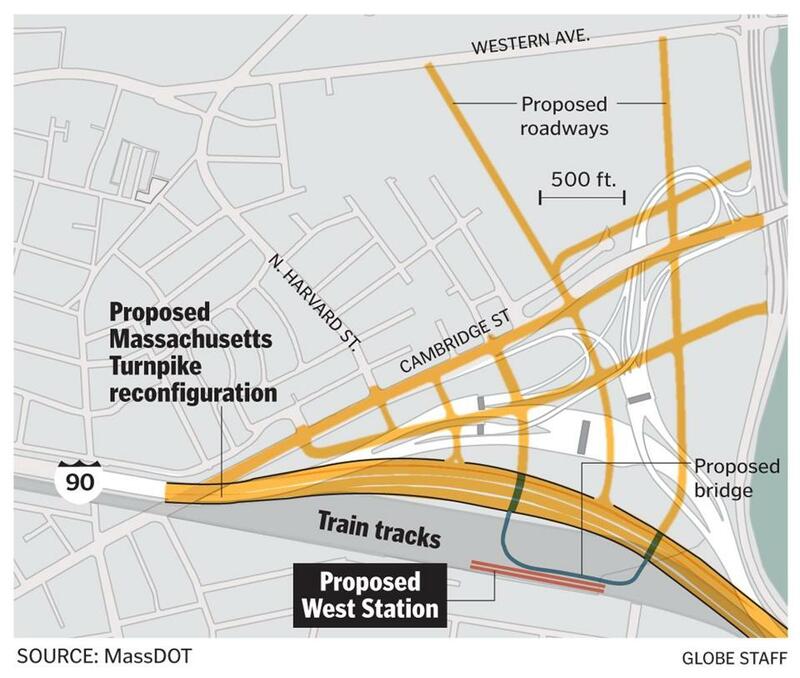 The tentatively titled West Station is meant to help overhaul the huge swath of land near the Allston-Brighton tolls on the Massachusetts Turnpike. State officials announced plans Tuesday for a $25 million transit station at the old rail yard in Allston that will allow commuters to take the train from the neighborhood to the Back Bay, South Station, and possibly Kendall Square. The tentatively titled West Station is meant to help overhaul the huge swath of land near the Allston-Brighton tolls on the Massachusetts Turnpike, and potentially bring dramatic changes to the transportation landscape of the region. Allston residents, who have long clamored for a commuter rail station, called the plans a transformative change for the neighborhood. The construction of the station goes hand in hand with the state’s $260 million project to straighten out the Massachusetts Turnpike near the tolls. That massive undertaking is scheduled to begin construction in 2017. The station, which is expected to open in 2020, initially will serve as a new stop along the Worcester/Framingham commuter rail line, which runs a few times an hour to and from downtown Boston during the morning and evening commutes, but sporadically at other times. 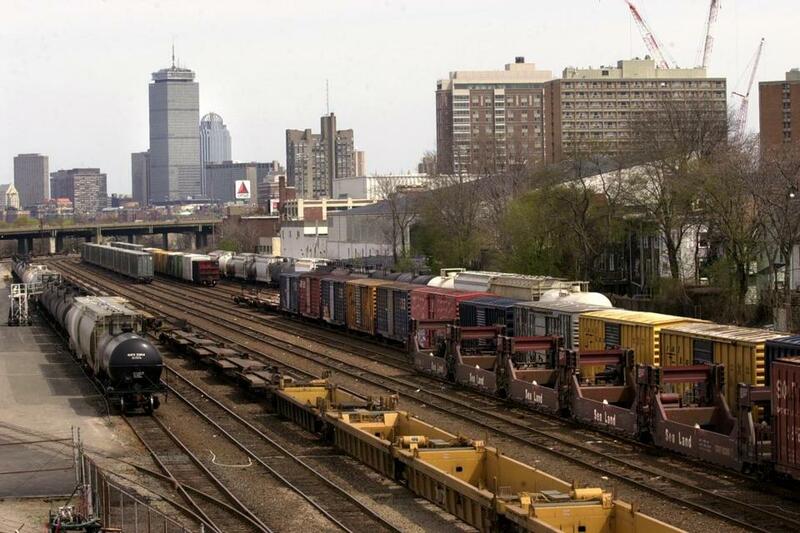 Eventually, though, state officials said, the station could host what are known as “diesel multiple units” — nimble, self-propelled cars that would mimic trolley or subway service and could connect Allston to Cambridge and North Station. There is currently no timeline for the fast service. “It’s a great opportunity,” Patrick said. The straightening of the Pike, a project that will also add electronic tolls, will open up nearly 50 acres for development in and around the old rail yard. The project has led transit advocates and others to create a wish list of requests for the freed-up space, including bike and walking paths and new housing units. West Station will be built on part of what is known as the Beacon Park Yard, on 22 acres now owned by Harvard University. As recently as May, plans for the station seemed to be off the table when a MassDOT spokesman said no funding was dedicated to the construction of a new transit station in Allston, disappointing residents and transportation advocates. But on Tuesday, officials announced that Harvard University had agreed to pay for one-third of the project, while the state will pay for another third. State Transportation Secretary Richard A. Davey said negotiations were continuing with another party to pay the remainder of the station’s costs. The funding partnership is similar to another transportation project in the works: in nearby Brighton, New Balance has announced its intentions to pay for a commuter rail station, scheduled to open in 2016. That station will also be on the Worcester/Framingham commuter rail line. The planned Allston transit hub, hailed as a victory for public transportation advocates, has the potential to affect the development of the neighborhood and transportation within the region. On Tuesday, Davey stressed that the project will bring benefits to the neighborhood’s residents. Mayor Martin J. Walsh said the announcement foreshadowed a big change for the unused land. “We’re going to have bicyclists; we’re going to have walkers; we’re going to have pedestrians; we’re going to have cars — all to be able to coexist on roadways that we’re able to . . . make safe,’’ Walsh said. Advocates had long been pushing for the massive highway project near the Allston tolls to include a wider scope that could help improve public transit and safety for pedestrians and cyclists. Matthew Danish, an Allston resident who attended the Tuesday press conference at the rail yard in the rain, called the development thrilling. Danish, who was part of a 49-member task force for the Allston Interstate 90 Interchange Improvement Project, said he wants to see the station get frequent train service. “Running the trains and stopping them here is another thing, and we have to make sure it happens frequently enough to be useful for people who want to use it every day,” Danish said. Jessica Robertson, an Allston resident and a member of the task force, said the construction of a new station will change the neighborhood. The North Allston area has few options for rapid transit service, and residents need to take a bus to the Red Line and have no direct buses downtown, she said. “Certainly, it would be a huge improvement for transit service for the North Allston neighborhood,” Robertson said. Officials said they expect construction to begin in 2017, after an environmental assessment and request for bids. Construction on the highway straightening project is also scheduled to begin in 2017 and is projected to be completed three years later. Information from State House News Service was included in this report. Nicole Dungca can be reached at nicole.dungca@globe.com.